This was a long feature of 22,000 words to celebrate the 50th anniversary of the tour that was published in five parts in the UK magazine, Now Dig This, between September 2013 and January 2014, the final part being published just before Phil Everly’s death. Although I’ve always envied those who attended those extraordinary US package tours of the 1950s, I would have been disappointed if I’d been there. Fats Domino, Little Richard, Chuck Berry and Jerry Lee Lewis were limited to a couple of songs apiece, and how could any of them have performed with integrity amidst fever-pitched screaming, especially if the concerts were staged in between the showings of mediocre new films? When you read contemporary interviews with the American performers who came to Britain, they all said how much they enjoyed being here and yes, that our policemen were wonderful. I’m not surprised – even without motorways and travelling up and down antiquated roads, the travelling rarely took more than four hours and so they had time to relax. Admittedly, the climate was often damp and rainy, but that was only a problem if you were used to the California sun like Eddie Cochran. The concert halls were old-style British theatres – usually Moss Empires – with excellent stages and decent dressing-rooms. Sometimes, cinema chains were used for rock’n’roll tours, but never with a movie as part of the package. However, backstage facilities in cinemas were always found wanting. The American performers found the British audiences easier to play for as even the screamers wanted to hear the songs and though there were exceptions, the police kept crowds under control without excessive force. Some of our American cousins were bland pop singers who wore sharp suits and snapped their fingers, but the truly exceptional ones were treated with respect. They were given half-hour slots at the top of the bill and the rest of the show would be UK talent, all of whom were keen to learn from them. Black stars could freely go into restaurants, pubs and washrooms and there was none of the racism they encountered in the south of America. Consider Buddy Holly and the Crickets coming to the UK in March 1958. At every venue they played (and especially Liverpool), would-be beat musicians were fascinated by what they heard and wanted to emulate them. In particular, Buddy Holly was playing a Fender Stratocaster. When he toured America, that would have meant little, but here Fenders weren’t available and his adolescent fans were full of wonder. Could Fender have had a better ambassador for their product? I doubt it. In 1960 there were the excellent touring packages of Duane Eddy, Bobby Darin and Clyde McPhatter on the same bill and of Gene Vincent and Eddie Cochran together. The packages played dates at the Liverpool Empire close together and still only having pocket money, I chose the former, not something I regret as it was an excellent show. Fifty years ago the music press and the local newspapers advertised a remarkable tour, surely the greatest rock’n’roll package to tour the UK – the Everly Brothers, Little Richard and Bo Diddley with the Rolling Stones in support. It looked wonderful on paper but everything didn’t turn out that way. What follows, in five monthly parts and for the first time, is the background story of that tour. Thanks to Trevor Cajiao, Stuart Colman, Tez Courtney, Andrew Doble, John Firminger, Graham Knight, Ulf Krüger, Manfred Kuhlmann and Mark Lewisohn for their input and discussion over several aspects of this story. I have used back issues of Disc, Melody Maker, New Musical Express, Record Mirror and Record Retailer as well as the US magazine, Billboard. I also credit American Rock’n’Roll The UK Tours 1956-72 by Ian Wallis (Music Mentor 2003), The Life And Times Of Little Richard by Charles (Dr Rock) White (Omnibus 2003), Bo Diddley Living Legend by George R White (Music Mentor 1995), The Everly Brothers: Walk Right Back by Roger White (Plexus 1998), Stone Alone by Bill Wyman with Ray Coleman (Viking 1990) and Rolling With The Stones by Bill Wyman with Richard Havers (Dorking Kindersley 2002). Whatever you think of the Stones, it is great that Bill Wyman kept such a comprehensive diary. I’m wary about crediting Don Arden’s autobiography, Mr Big (Robson Books 2004). The infamous promoter seems to be making it up as he goes along and his ghost writer, Mick Wall, hasn’t corrected him. To be fair, Don Arden didn’t like being told he was wrong. I could dispute nearly every paragraph and although I will be quoting his thoughts on the tour, it is mostly to knock them down. Also dismissed is Philip Norman’s biography, Mick Jagger, published by HarperCollins in October 2012. By then I had done much of my research and I was anxious to see what he had discovered about this 1963 tour. As this series will show, this tour was highly significant in the Stones’ development and yet Norman spends less than one of the book’s 600 pages on it and I would argue with five of his facts. I have been at the British Library’s newspaper archive at Colindale. Looking through the regional newspapers for each date on the tour is time consuming but is highly rewarding. The editors did not often send appropriate reporters as the regional papers would have relatively few teenage readers. It’s better than it was on the Cochran and Vincent tour where the reviewers were simply echoing what parents would think. Normally, I would be quoting just a line or two from these reports to give you a flavour of what was said. However, as I am looking at this tour in detail, I am quoting at length from the documents. It can seem like repetition but I wanted to give the feel of how the tour progressed from day to day. It is also fascinating to see how two people can see exactly the same show and have totally different opinions about it. 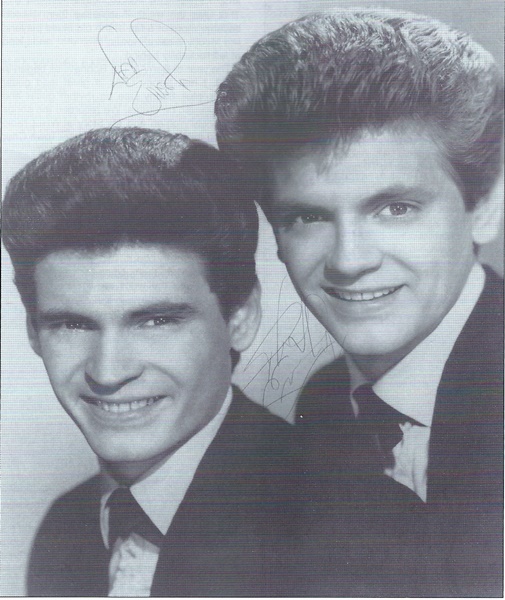 The Everly Brothers’ achievements in the UK mirrored their American success as hit followed hit. In January 1959, Archie Bleyer, the owner of Cadence Records, brought his main artists – the Everlys, Andy Williams and the Chordettes – on a week long promotional tour of Europe. They were only in the UK for a day but arrived late, and the Everlys had to be rushed through Customs and went straight to the ITV studio for Cool For Cats where they were given the NME award for Top Vocal Group by the paper’s managing director Maurice Kinn. The next day they were interviewed for the BBC’s Saturday Club and attended a reception at London’s Savoy Hotel. Phil Everly was dating Archie Bleyer’s step-daughter, Jackie Ertel, and her mother was one of the Chordettes. Phil and Jackie had a row in Paris as she wanted to go to a gallery to see some modern art. Andy Williams, already a collector, took her instead. In January 1960 the Everly Brothers were the first act to sign under the new Warner Brothers logo and their single, “Cathy’s Clown” (WB 1) was a UK No 1. The promoter, Arthur Howes, arranged a tour for April 1960 covering 22 venues in 24 days. They arrived with their manager and publisher, Wesley Rose, and were backed by the Crickets. The Crickets did not have their own spot and the bill included the Dallas Boys and Cherry Wainer. In a rare example of brotherly agreement, both Don and Phil enjoyed being in the UK and acquired a love for tea and for British tailoring. They placed regular orders with the tailor to the stars, Dougie Millings. The Everlys appeared with Alma Cogan on ATV’s Startime, and again the NME played a blinder by getting Alma to present the cups (one each) for being Top Vocal Group. Just as well that Les Compagnons De La Chanson hadn’t been the winning act. My father loathed the Everly Brothers and even now, I can picture him shouting, “Turn the television off!” I always wondered why he hated them so much more than any other rock’n’roll act, but now I think I’ve got it. The Everlys’ harmonies can be linked back to such country duos as the Bollick Brothers, the Blue Sky Boys, the Delmore Brothers and the Louvin Brothers. My poor old dad would never have heard these acts and so the Everlys’ high pitched, nasal harmonies would have been alien to him. They were alien to us teenagers as well but we loved them. The harmonies were just as exciting as Buddy Holly’s Fender Strat. After filming that show on the evening of April 6, the Everly Brothers met 17-year-old Lucinda Lambton, the daughter of Viscount Lambton, on the Flying Scotsman. They sang much of the night away and Lambton, a BBC stills photographer, took pictures of them. Phil was reported to be romantically involved with her but commented that he had a “serious girlfriend” in the States. She encouraged his fashion sense and Phil bought his first pair of winklepickers as well as some traditional Scottish outfits. On April 17, Eddie Cochran and Gene Vincent rounded off their tour at the Hippodrome, Bristol but Eddie was killed and Gene injured on the return journey to London. That next night (April 18) the Everly Brothers played to subdued audience in Bristol’s Colston Hall. The Everlys went home straight after completing the tour, cancelling a spot on Sunday Night At The London Palladium, replaced by a faux sisters act, the Kaye Sisters. The tour itself was regarded as successful. The Everlys fell out with their manager, Wesley Rose, but deservedly so. Rose was the co-owner of the music publishing company, Acuff-Rose, and he wanted the Everlys to continue recording Acuff-Rose songs for their singles. This kind of arrangement was not unusual and several country performers were similarly constrained. Though the Everlys had no complaints about the songs they were given and appreciated that Boudleaux and Felice Bryant were an integral part of their success, they disliked being restricted in this way. They wanted to sing whatever they liked, a rare instance of the brothers being in agreement. Things came to a head in 1961 when Don devised a totally off the wall arrangement for the oldie, ‘Temptation’, which was associated with Bing Crosby. It is a Marmite record in that you either love it or hate it, but I thought it was fantastic and totally full of life, and its poor showing in the US (No 27) only reflected Rose’s lack of interest. He hadn’t bothered to promote it but in the UK, it soared to No 1. Their new manager, Jack Rael had been Patti Page’s manager, but he was more in tune with contemporary sounds than Wesley Rose and he was to stick with the Everlys for ten years. Whether they liked it or not (and they didn’t), Wesley Rose’s contract was such that the Everly Brothers’ own songs would still be with Acuff-Rose. As a result of the split with Acuff-Rose, the Everlys turned to the Brill Building in New York and, indeed, a candidate for their best-ever record is ‘Crying In The Rain’, written by Carole King and Howard Greenfield. This gorgeous song was a Top 10 hit in both the UK and the US in January 1962. While Don and Phil had been trying to establish themselves in Nashville in the mid-50s, Don had been dating a secretary, Mary Sue Ingraham. Because they could not marry without parental consent in Tennessee under the age of 21, Don and Sue eloped to Ringgold, Georgia and were married in November 1956. Both sets of parents accepted them and they had a daughter, Venetia Ember, in April 1959. Don was often away on tour and they drifted apart and were divorced in 1961. In November 1961 both Don and Phil were drafted into the Marines. It looked like a recruitment stunt akin to Elvis in the army. For example, why would two brothers, two years apart, be enlisted at the same time, put in the same unit and then told it would only be for a few months? They trained as artillerymen handling 105 pound Howitzers, and returned to civilian life in February 1962, heavier and tougher. Like his daughter, Don’s second wife was also a Venetia, Venetia Stevenson who was born in London in 1938. She was the daughter of the film director, Robert Stevenson (King Solomon’s Mines, Jane Eyre) and the actress Anna Lee. The family moved to Hollywood at the start of the war with Stevenson was under contract to David Selznick. When her parents divorced, she was raised by her father and stepmother. Her first acting role was as a corpse on Matinee Theatre (1955), a comment on her acting ability perhaps, but she was a good horse woman. She played Ricky Nelson’s girl in The Adventures Of Ozzie and Harriet and was on Cheyenne and 77 Sunset Strip. The gossip columnist, Hedda Hopper, called her “the most purely beautiful of all the new crop of stars” and Sweetheart Stout still uses her image on their cans. For the purposes of publicity, Venetia would be seen dating Tab Hunter and Tony Perkins, although the between-the-sheets action was really between Hunter and Perkins. In 1956 she married the MGM actor and dance Russ Tamblyn (Tom Thumb) but they divorced after a year. She dated Elvis Presley during 1957/8 and even visited him on military service in Germany. The actor Audie Murphy separated from his wife in 1960 and he and Venetia had an affair while they were making Seven Ways From Sunday. Venetia had met the Everly Brothers on The Ed Sullivan Show on 4 August 1957. She and Don were married on February 13, 1962, the same day that Don and Phil had completed basic training. Phil was the best man and the ceremony was held at their military training base. She found it hard to live with Don and his mood swings and also had her own problems, knowing that she was not a competent actress. After marrying Don, she never made another film. Arthur Howes brought the Everly Brothers back in October 1962 for 22 venues in 28 days. The supporting bill was Ketty Lester, Frank Ifield, the Vernons Girls and the comic Norman Collier. Phil Everly flew in on October 11 and the tour was to start three days later. But where was Don? He did arrive with Venetia the following day but he broke down in rehearsal as they were singing ‘Crying In The Rain’. He was taken to Charing Cross Hospital, suffering from nervous exhaustion, but he discharged himself and then had another breakdown and was admitted to Middlesex Hospital. The tour opened at East Ham Granada with just Phil on stage and their bass player, Joey Paige sharing the vocals. They sang some of the Everlys’ hits and also ‘Let’s Twist Again’. Although Phil had done the first show without Don, he was still hoping that he would turn up for the second house. He didn’t know that things had become worse. Phil competently adapted to fronting the show and completed the tour, and although some ticket holders demanded refunds, the houses were generally good. However, Phil cancelled proposed radio and television dates. His UK ‘girlfriend’, for want of a better word, Lucinda Lambton, gave him encouragement. The background to Don’s illness was kept from the press, who were neither as persistent nor as probing as today’s journalists. Don was, indeed, exhausted but he had become addicted to Ritalin and as soon as he arrived in London, he had taken an overdose of sleeping pills. As well as Don’s health, he had his own worries. Phil told one reporter that he could be called up if the Cuban missile crisis escalated. Don, presumably, would be spared because of his health. It was ironic that the tour should end in Liverpool as the Beatles had entered the charts with their first Parlophone single, ‘Love Me Do’, thus starting the British beat boom. The established American acts were going to find it harder to have chart hits. Although they had left Cadence Records, they still were friendly with Archie Bleyer, who didn’t bear them ill-will as he knew he couldn’t match Warners’ advance. Phil and Archie’s step-daughter, Jackie were married in January 1963 and as Don Everly was best man, relationships between the brothers were not too strained at the time. They were not yet back performing together and although Arthur Howes was not prepared to risk another UK tour, another promoter Don Arden was. Don Arden had been a club act who had been the compére onGene Vincent’s solo UK dates in January 1960. He saw that Vincent was a brilliant but troubled performer and as the promoter Larry Parnes had had enough of him, Arden took over his management and presented him in the UK. Arden was a hard man who stood for no nonsense and Vincent was wary of him. Steve Ellis of Love Affair says, “Don Arden was like a caricature of Edward G Robinson”, so you get the picture. In October 1962 Don Arden promoted a tour starring Little Richard, Sam Cooke and Gene Vincent. Little Richard had renounced rock’n’roll for the ministry and was intending to sing gospel music, but when he saw Sam Cooke’s reception, his ego got the better of him and he was back rockin’ and rollin’, which had been Arden’s intention all along. Richard had told Record Mirror, “I sing gospel songs but with a beat. God has told me to do this”, but once he had got ‘I Believe’ out of the way, he was rock’n’rolling. Little Richard had a one-off date on tour, October 28, 1962 when he appeared at the Liverpool Empire on a bill with the Beatles who were about to release their first Parlophone single, “Love Me Do”. He told them, “Please don’t be offended but I think you sound like a coloured group.” Then Richard toured successfully with Duane Eddy and the Shirelles. Don Arden flew to America in February 1963 and met the Everly Brothers to discuss an autumn tour. The itinerary was resolved in June and the touring party would mostly perform in large cinemas. The bill had to be right as the Everlys were losing popularity, partly because of the British beat boom, partly because of inferior records and partly because of the ill-fated 1962 tour. In the NME’s chart points survey from January to June 1963, Cliff Richard was top with 877 points, the Beatles second with 577 and Frank Ifield with 518. Barely in the Top 50 were the Everly Brothers with just 49 points. Even Mel Tormé was outselling the Evs. Bo, who was 34 years old, had written ‘Bo Diddley’ when he was 15 and first recorded it in 1955. Outsiders thought that his records sounded the same but he was keen to different. Writing about Bo Diddley in Melody Maker, the music paper reported, “His fans in Britain include the Beatles, Freddie and the Dreamers and the Searchers.” Putting Bo Diddley on the bill was a shrewd move by Don Arden as he knew that both Don and Phil respected him. In July 1963 Wayne Fontana and the Roadrunners had some chart action with their first single, Fats Domino’s ‘Hello Josephine’ and Bo Diddley’s ‘Road Runner’. The sides don’t have much musical merit but they demonstrate what happens when you let a bunch of 17 years old loose in a recording studio and let them do whatever they want. ‘Road Runner’ in particular is hilarious. N Rosetti of Twickenham wrote to Disc: “Look out, Liverpool, the South is on the way back! I saw the Rolling Stones in Twickenham recently and Brian Jones collapsed in the interval. The group played on without him and I was convinced they are the greatest by the fact that the remaining four played just as excitingly as the complete combo.” On September 15, 1963, the Rolling Stones were the special guest artists at the Great Pop Prom at the Royal Albert Hall with the Beatles closing the show. It was jointly promoted by the teenage girls’ magazines, Valentine, Marilyn and Roxy. Having secured his headliners, Don Arden added the supporting acts. The Rolling Stones were managed by Andrew Loog Oldham and Eric Easton, and Easton also managed Julie Grant. Mickie (sometimes Mickey) Most had been around since the 2I’s days and had recorded as half of the Most Brothers with Alex Murray in the late 50s. They had sung Everly songs but in unison rather than harmony. Mickie had moved to South Africa and had several hit records, mostly produced by himself. He was back in the UK and had a Top 50 entry with “Mr Porter”. He was regularly featured on the Light Programme’s Crowther’s Crowd and he had produced Jackie Frisco’s single, ‘You Can’t Catch Me’. Mickie Most had married a girl from South Africa, Christina. Her sister was Jackie Frisco, who was Gene Vincent’s fourth wife, so Mickie did become Gene’s brother-in-law. He had toured with Gene in South Africa in the early 60s. Up until the early 1960s, the Musicians’ Union had tried to protect its members by insisting that foreign acts were backed by British musicians or that American musicians came over in a direct swap with a British band. 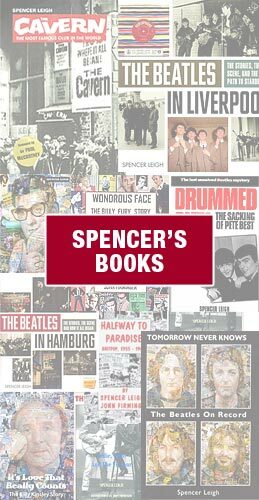 Until the Beatles conquered America in 1964, there were few British bands which could have done much business in America and so various tricks were employed to get Americans into the country. The application for Nat ‘King’ Cole, for example, said that he was a juggler. Things were starting to relax but even so, Arden showed his negotiating skill as he had permission for the Everlys to bring their own accompaniment and for Bo Diddley to bring the Duchess and Jerome. The Everly Brothers had been touring with the so-called Nashville Three – Don Peake (guitar), Joey Paige (bass) and Jim Gordon (drums) –and now they were bringing them to the UK. Joey Paige was from Philadelphia and he had played with Dickey Do and the Don’ts. He had met Don and Phil when they were in the Marines and he had helped to save the 1962 UK tour by singing Don’s parts. He was a humorous guy who added comedy touches when they sang ‘So Sad’, though why the Everlys wanted to make fun of such a sublime song defeats me. Don Peake became the Everlys’ lead guitarist in 1961 when he was 21, and he had also been with them in the UK in 1962. Their new drummer was 17-year-old Jim Gordon. The Everlys did a summer tour of America with the Nashville Three. Norma-Jean (sometimes Normigene) Wofford from Pittsburgh, Pennsylvania, joined Bo Diddley as a second guitarist in 1962. Bo called her the Duchess and he told everyone that she was his sister. He felt it would be easier to protect her that way. The Duchess said that she got into her skin tight clothes with a shoe horn. According to a feature by Norman Jopling in Record Mirror, Bo lived in Washington with his wife, two children “and various others”!! He was not on good terms with Chuck Berry but he loved Ray Charles. He made his own records home and also developed his own twin-headed guitars with bass and standard strings. The overall effect of these three musicians and their pounding rhythm was striking: a British audience had never seen anything like them. Bo Diddley made this own guitars and he brought three to the UK, usually playing one with a rectangular body. There was the heavily-built Bo Diddley with his gold lamé suit and strange-looking guitars, the Duchess in her cat suit with gold thread and Jerome manically waving four, sometimes six, maracas. Mickie Most and Julie Grant were to be accompanied by the Flintstones, who also had their own spot. An obscure but key component of the Joe Meek story is the 1960 EP, I Hear A New World, by the Blue Men. Three of the Blue Men – Rod Freeman (rhythm), Doug Collins (bass) and Dave Golding (drums) – got together with Terry Slater (lead guitar and soon to be the leader) for a new group and they added three saxophones (Terry Marshall, Tony Smith and John Paddy) for a fuller sound, close to the Piltdown Men. They became the Flintstones, although they also made a single ‘Big Feet’ by the Stonehenge Men for HMV. The Flintstones were stalwarts of British pop shows and would accompany acts as necessary. The compère was the Glaswegian comic Bob Bain, who was also a talented musician, playing guitar, tenor sax, clarinet, drums and bagpipes. He had worked in Los Angeles and Las Vegas and had returned to the UK with Bob Hope’s entourage. He was known as the Gag Slinger as he was very fast with one-liners and ad-libs. He had been working with Don Arden on and off including the previous Little Richard tour. He had also written Gene Vincent’s UK hit ‘I’m Going Home’ from 1961. Being the compère for a pop tour was a thankless task, but Bain managed it better than most. He was very good at giving an act a big build up and he also had to fill in while the next group was getting ready behind the curtain. He knew how to build up excitement and he would shout out the names of the performers like an American DJ, again something new for British audiences. On the 1963 tour he would make an off stage announcement, “Tonight we have a special guest, Mr Acker Bilk. The stage would be dark and a single spot would pick someone coming backwards through the centre parting of the curtains playing ‘Stranger On The Shore’. Many thought it was Acker Bilk but it was Bob wearing a fake beard and a green waistcoat. The poster for the tour only mentioned the Everlys’ current single, ‘It’s Been Nice’, an okay performance of a Doc Pomus and Mort Shuman song that nudged into the Top 30, but not something which would sell tickets. The song had been on the B-side of Marty Wilde’s 1959 hit, ‘Bad Boy’. Gene Vincent had recorded it in 1961 and the Everlys’ version was released at the same time as Freddy Cannon’s who sang it in the pop film, Just For Fun. In September 1963, the Everly Brothers cut two songs by the husband-and-wife team of Barry Mann and Cynthia Weil, ‘Love Her’and ‘The Girl Sang The Blues’, for a new single. The exquisite ‘Love Her’ was recorded with Glen Campbell, Billy Strange, Hal Blaine, French horns and violins. Phil described ‘The Girl Sang The Blues’ as a combination of twist and Surfaris’ stomp. Phil said he preferred ‘The Girl Sang The Blues’, while Don went for ‘Love Her’. Later on, Don mused, “Barry and Cynthia didn’t give us You’ve Lost That Lovin’ Feelin’, unfortunately” but this is uncharitable. ‘Love Her’ is a superb romantic ballad of lost love and was the A-side in America. It’s hard to see why Warner went with the novelty ‘The Girl Sang The Blues’ in the UK. Having said that, ‘Love Her’ did little business in America, although it became familiar via the Walker Brothers. The Everlys’ biographer, Roger White, says; “The single might have done better if Don and Phil had promoted it on the tour dates but they hadn’t had time to learn the song before they left for Europe.” Of course they had time: they could have done it if they’d wanted to but they lacked the enthusiasm for updating their act. Their current album was an odd one too. The Everly Brothers Sing Great Country Hits, is a fine album, full of good performances of country standards, to be sure, but it was treading water. The tour was to open in London on 29 September and would run throughout October, but the tickets, reasonably priced between 5 and 15 shillings, were not selling well. Some fans suspected it could be another fiasco for the Everly Brothers. What’s more, there were now beat group nights all over the country. The tour might lose a lot of money. Then Don Arden had a brainwave. On September 13, 1963, the Everly Brothers and their wives flew into London airport for their autumn tour. Don and Venetia had also brought their daughter, Stacy, who had been born in May. The Everlys were in for a surprise. During the year, the Beatles had taken the country by storm and many other UK beat bands were in the charts. Don Everly recalled, “When I arrived at the airport, all the press wanted to know was what I thought of the Beatles and I had to say I hadn’t heard anything.” Not wanting to be seen as aloof, he told the reporters of a British record he loved – ‘Softly As I Leave You’ by Matt Monro, a great song of course but a sure sign he was out of touch. Phil Everly added, “We were aware that there were good entertainers in Britain. I can remember the Dallas Boys for example, but yes, I was certainly surprised by all that was coming out of the north.” The fact that Phil was recalling the Dallas Boys is another indication that they didn’t know what had been happening. Unlike everybody else, Phil also thought that the surfers’ haircuts and the Beatles moptops were identical. This contrasts with Bo Diddley who said, “I notice that you have a group here called the Beatles. Now that’s a good name – the kids can remember it like we’ve got the Spindles. And of course Bo Diddley, you don’t forget that name.” I can’t track a band called the Spindles so that could be a joke, but well done, Bo, for getting a nice bit of self-promotion in there. The Everlys would soon find who the Beatles were. The fifth anniversary of the BBC Light Programme’s Saturday Club starred the Beatles, the Everly Brothers, Tommy Roe, Frank Ifield, Kathy Kirby, Clinton Ford (of course), Joe Brown and his Bruvvers and Kenny Ball’s Jazzmen. 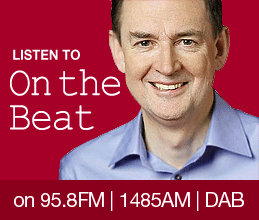 Instead of the usual £310 budget, the show’s then producer, Bernie Andrews, spent £483.12.6d on the performers. Elvis didn’t send a goodwill message and was reported to have snubbed Saturday Club. The Everly Brothers were having problems with each other long before 1963. They have always been polite in interviews and they have never spoken about their relationship, and neither has written an autobiography. Most of the differences that have been cited are neither here nor there. Don, for example, was more interested in pure country music than Phil but that hardly matters. Phil could have been frustrated that his elder brother had fallen apart in 1962 and that he was potentially wrecking their livelihoods, but that begs the question as to what really went wrong. I have heard (from a couple of sources, although I don’t know how true it is) that Phil slept with Don’s wife. Even if it were not true and yet Don suspected it, it is easy to see how the relationship could fall apart. Although they would have liked to have been separated, their financial success depended on them being together. No matter how they loathed each other (and at times they did), they had to deliver sweet harmonies on stage.